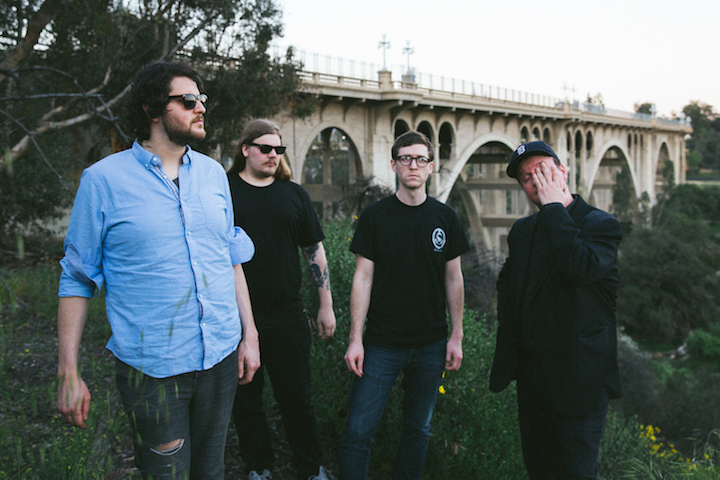 This month, Detroit post-punk veterans Protomartyr embark on their first ever Australian and New Zealand tour. In support of the band’s critically acclaimed 6th studio LP Relatives in Descent released last year, Protomartyr will be joined by Sydney’s Mere Women for the five dates, hitting Brisbane, Sydney, Melbourne, Wellington and Auckland. Ahead of the tour, we brought together Protomartyr frontman Joe Casey and Mere Women vocalist/keyboardist Amy Wilson to chat about the respective difficulties of being creative in their hometowns of Sydney and Detroit. AMY: What’s it like being creative in Detroit? JOE: What I like about Detroit is… it’s kind of far away from all the places that people assume all good things come from, in America. We’re far away enough from New York, we’re right in the middle – so people kind of leave us alone to do our own thing. And therefore, the people in Detroit that do creative things for the most part aren’t looking for the big break. They’re creating just because they have to, or because it’s a way to spend time. There isn’t a lot of the – from what I understand, from visiting big cities – there isn’t a lot of competition or people that are full of themselves. It’s a very down to earth scene, or scenes. At least for me. AMY: Yeah, there’s a bit of that in Sydney. Here it’s very rare that you’d be able to make money out of playing music, so it’s usually the case that anyone making music is doing it because it’s something they need to do and makes them happy. JOE: We sound like this, cos this is the way that we sound. AMY: How do you find navigating Detroit’s creative spaces and venues? JOE: It was daunting at first. Long before I started the band, I always assumed that only really cool people created art. I remember going to my first underground punk show and just feeling like a very big sore thumb. Took me a while to adjust to that! But having seen the rest of the world, I kinda come back to the idea that maybe Detroit is more welcoming and accepting of different people. The idea of being super-cool in Detroit is kind of a bizarre concept. JOE: Yeah, it’s not… you know, if someone was walking around like the coolest person in school, everyone would be kind of… it’s really not about trumpeting yourself too much. Sometimes there are negatives to that, that can kind of stifle creativity sometimes. But it is more accepting. AMY: In Sydney it can be really hard sometimes – rent is really expensive, finding creative spaces is difficult, and then of course you have to work so you have limited time for creative stuff too, and then we have all these crazy policies that mean it’s really hard for live music venues too. Like crazy noise restrictions. So that makes it quite hard for us. We still get it done, and that’s the great thing about Sydney. But what is it like for you? JOE: For years, Detroit had other things to worry about – so they kinda let bars and venues do their own thing. Especially Downtown Detroit right now is kinda going through this weird gentrification – in some ways it’s good that downtown actually feels like a downtown now, but there’s a lot of people being displaced and places that used to be no-holds-barred are… now the cops will come and bust up a show. It’s stricter. It sounds like maybe we’re in the early days of what’s happened in Sydney where you just get priced out of places. Luckily, Detroit is big enough that as long as you’re not right downtown, you still can find affordable places. Actually, a lot of the houses in Detroit were built with garages so you don’t even need a practice space! AMY: That’s amazing. Where do you rehearse? JOE: We rehearse in a space that used to be an optometrists office and now there’s people living there as well as some practice spaces, a record store, places where they sell antiques… I feel bad when we practice there, because we’re really loud and it’s not quite soundproof (laughs) but we get away with it. I’m so glad we’re in a place like that – it’s affordable, and those sorts of places eventually will become rarer and rarer. But for now there’s still plenty of spaces. 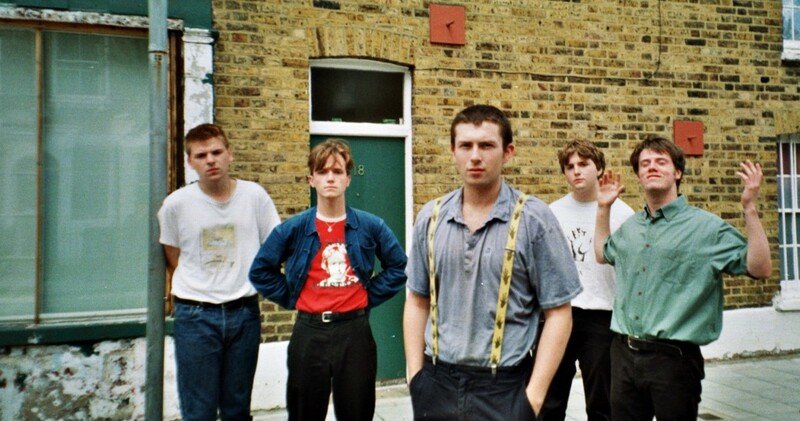 JOE: Right – I was going to ask you, cos in America there’s like no money for the arts. There’s none, you’re kind of own your own. And then touring Europe, they’ll have a community centre and we’ll play there and people will come out. They’ll have a bar for the older people, but they’ll also have areas for younger people and it seems like it’s from government money. Is there anything like that in Australia? AMY: Yeah… I mean, there is. I guess we’re kind of going down the more America route, into this idea of philanthropy but with punk music, philanthropy doesn’t actually work. I mean, what are they gonna get out of it? There’s no financial gain necessarily. Mere Women by Jaclyn Paterson. 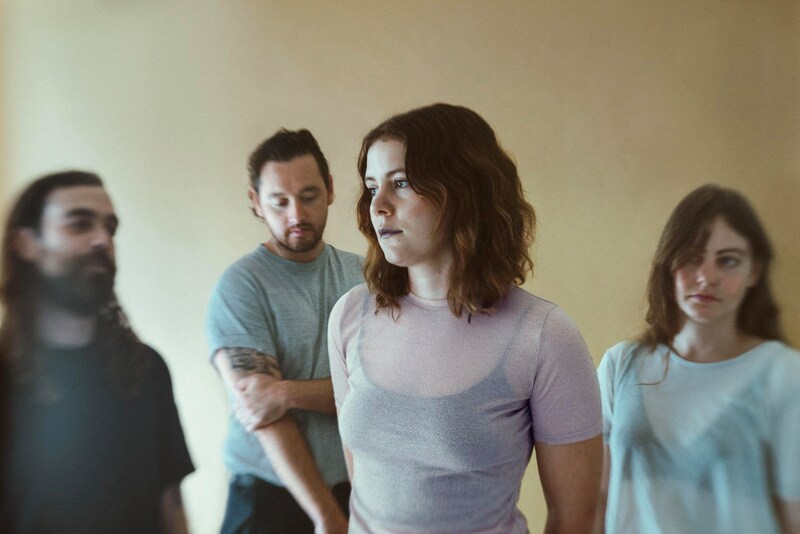 AMY: We have a few funding bodies, we have Australian Council for the Arts – and they gave us a bunch of money to make our last record which was just amazing. Like, the most helpful thing ever. But it is really highly competitive. It is SUPER competitive. And every year it feels like it’s being flushed more and more and more. We had somewhat of a background of unionising and things being subsidised through the government, and it’s been a long process, but especially over the last ten to twenty years that’s really shifted. And things are being privatised, funding’s being cut. Even funding that you can go for these days will be like, “oh, you can apply for funding up to this amount, BUT – to get that money, you have to match it with money from sponsorship or philanthropy.” And I see it everywhere! I also work in community arts and community development and it’s the same thing. We’re encouraged to get sponsorship, but then that compromises the things that you’re doing with the community as well. It’s an Australia-wide thing that’s happening. We look to America a lot, and I think that change will have some negative impacts on musicians in Australia for sure. JOE: I was going to say – don’t look to America for how to treat the arts! JOE: Specifically in Detroit, we have corporate sponsorship for like, the art museum and the orchestra, that comes through mostly car companies. Things like that. But you know you’re in desperate straits when your historical museum has to have a display of Kid Rock because Kid Rock gave money to keep the history museum open. AMY: I’m really looking forward to playing with you guys! We’re playing some great venues. JOE: I was going to ask you! I’ve had some friends come over and play smaller bars and places, but I was wondering – are these the rock and roll venues? It’s always weird when bands come to Detroit, sometimes they’ll play a place and you’ll be like, “oh, I wish you would’ve played this place”. AMY: Yeah that always happens – but we’ve got good venues. You’re playing the best place to play in Sydney for sure. We’ve played where you’re playing in Melbourne before, and it’s awesome. And we know Brisbane will be great too. Uda – who booked the venues – has a really good idea of where these things sit. Uda’s from a DIY background as well! JOE: And we’ll fly from show to show! That’s a new one for us. AMY: Yeah! Well if you were gonna drive, it’d take you 14 hours from Brisbane to Sydney, and then Sydney to Melbourne is 10 hours, which is short! Everything here is so far away, and the population is so small that you have these hubs, but they’re so far away from each other. Then you just have really tiny little towns, and even the other cities are still quite small for cities. So it’s really hard to tour in Australia. You can’t, really! Apart from doing a few shows. It’s really difficult. AMY: Yeah! 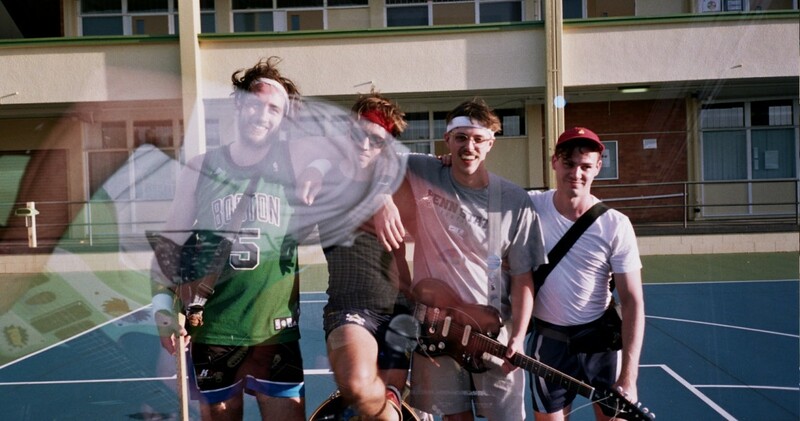 We spend so much money on flying because our record label’s based in Melbourne, so there’s always a lot of shows in Melbourne, and we go to Brisbane as well. But we end up spending thousands and thousands of dollars every year on flights – that’s why you need government subsidies! Protomartyr + Mere Women tour details below.